Have you ever thought to change number of posts per page for your WordPress blog? For beginners, it’s not an easy task to do because by default WordPress shows 10 posts on a single page which is not much friendly to beginners. It’s the matter of your choice that you want to show how many posts on every single page? Newbies have a question as how to edit homepage in WordPress? They seem it hard to do but let me tell you that you just need to know about something more in detail about WordPress and you can show the number of posts according to your own wish. How to change number of posts homepage WordPress within in two seconds? Here in this tutorial, I am going to let you know about another feature of WordPress which shows that you have freedom to do anything using this amazing CMS. You can change number of posts per page just by following some steps. Step 1). Just log in to your “wp-admin” area. Step 2). Find “settings” in your dashboard to open. Step 3). After opening the settings you have to open “reading settings” for the completion of your job. As shown in the screen shots after the opening of reading settings you can see many boxes to fill. The first one is to adjust your “Front page display” for your website. In most of the cases, you should choose to display your latest posts to display our homepage. As you can see that there is another option to choose with which you can adjust any particular page, posts page to display as the homepage of your website. It’s the matter of choice. Step 4). Here is the main step you need to follow to change the posts to display at the homepage of your website. You can see that you are asked to choose “Blog pages show at most”. Here you will find “10” by default and you can change according to your wish. I have selected “6” posts to display at every page of my blog. You will find many websites with the different number of posts to show at their pages. But let me tell you that if you are going to show excerpts with your posts then you shouldn’t show more than 6 posts because it will increase page size and may increase the loading time of your website. I must tell you that you shouldn’t check “search engine visibility” option because if you do that then you are signaling search engines not to index your website. Are you ready to change number of posts per page for your WordPress blog? It’s hard to decide that how many posts you should show at your every page of your WordPress blog. But let me clear your doubt by telling you that if you are using excerpts of your post to display then you can show at most “6” posts per page. Showing “5” posts per page is a great choice. Nice tip. Many wordpress users always wish to customize their home page by showing a custom number of posts. This will make it easy for them. And you’re so right. Sometimes it can be a little hard deciding the number of posts to show. Every simple thing is hard for anyone else. You may remember your starting days when you were also newbie and was trying to find any easy guide to learn from. Customizing homepage by showing number of posts is dependent upon the choice of bloggers. Thanks for stopping by and putting your comment. Great tip regarding changing the number of posts in WordPress. I have seen that if the number of posts are less on home page its loading speed is faster then the blogs who shows 10 posts on their home page. WordPress shows 10 blog post on home page which is not SEO friendly because it will increase loading time. Bloggers try their best to improve loading time which can be done by limiting the number of posts par page. Yes indeed, you can change the number of pages (thank goodness I already knew about this before you wrote about it..lol..! ), something I did in my earlier theme. However, once I switched my theme to give it more of a magazine kind of look so that more posts show up, their number increased (as it’s enabled in the theme I use). I can still switch to the option you mentioned but prefer it this ways because it showcases all the categories and a few posts mentioned under each. You know it’s dependent at the blog you are handling. Most of bloggers have simple home page and show limited number of posts per page. For beginners the problem occurs when they don’t have any idea as how can they change the default number of posts for their home page and more. Newbies need to know about this simple feature of WordPress which can gaive them freedom to adjust the number of posts according to their wish. Simple yet good how to for a wordpress novice. Glad you are focusing on writing for those who are not aware. Keep sharing these kind of stuffs. For beginners it’s very important to learn basic things about WordPress. Hope they will get their solution here. The way you are solving blogging problems of newbie bloggers is really commendable. These little tips have real value for those who don’t know about it. I still remember how many time I had to spend to do this task first time at my blog. In the beginning bloggers need to display less post on first page to show total number of pages more. Later on when they have good number of post then they can increase the count. But one must keep in view speed issues of his blog also. If there is already huge data at his blog then he needs to make his landing or home page as light as possible if latest posts are displayed on it. I have experienced that there are many simple things which are needed to explain for newbies because most of bloggers try to boot up their blog but few of concentrate about simple features of WordPress. Page loading time of a website is the concerning thing for bloggers. Beginners should have a look at their homepage size which can be decreased by showing less number of posts. I am guessing my site loads extremely quick because of the theme that I am using so I did leave at 10 since it has not affected the load time. Still glad that you brought the awareness on how having too many posts on a homepage can affect SEO. There are many other bloggers like you who show 10 posts at homepage of their blog and still have perfect loading time. It’s because they don’t have much content at their or the theme they use is great. Using a great web host and better web hosting plan like VPS hosting website loading time can be minimized. I think it’s not hard to change number of post in WordPress because there is no need of coding in this process. I have noticed an other thing here. in Home page we set 5 or 6 post but in RSS feed how many post we should set. It this necessary or not in RSS feed? You think that it’s not hard to change number of posts in WordPress but for many other bloggers who don’t know much about WordPress face problem while doing this. In RSS feed you don’t need to do anything as there is no affect at your website by that. It will show your full articles so that your readers can read them. You don’t have any connection between your RSS feed and website loading time so not to worry about it. this is good informative article for newbies who never tried such thing on wordpress. 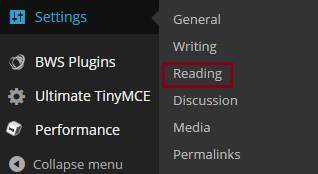 i also unaware of this feature, but in time my friends tells me all about the WordPress and its essentials Features. glad to See this article for others. You know there are many things you can do in WordPress. Newbies should know these kind of simple and helpful things so that they can learn more about SEO. Good to know that you are focusing on pure noobs. Good move to help the beginners. Keep posting such crispy articles. Every stuff which seems easy for experienced bloggers is not easy for beginners. Newbies need to have the guide for the basics of WordPress. Good tips for newbies/wordpress learners. You have described very well here. I have 10 post in my wordpress blog to show on homepage/everypage and it looks nice to have atleast 10 posts. I do have my loading time perfect with 10 posts. So, there is not need to change it. You are doing good to share with others. I will share this on my network. Hope, it will helpful for beginners. Thanks for sharing. You know very well as how to handle the speed of your website but for beginners it’s hard to do so because SEO is not an easy stuff to hook up with. If newbies try to have 10 posts per page then their loading time may increase so they should know how to change number of posts per page. The theme you use for your blog matters a lot about the editing of your homepage. You too enjoy your day. Yes, The number of posts on the front page also plays an important role in loading the page of your Blog. And by default it will 10. Many SEO experts said that this number of posts on the front page is not quite SEO friendly. So, if we can decrease it a little, then our Blog will get some benefit. Thanks for the tutorials and I hope that the newbies will get a lot of help after going through your article. It’s dependent at the blogger as how he/she handles his/her blog. There are many bloggers who keep 10 posts for their homepage and still have perfect loading time of their blog. But for beginners it’s not that much easy as professionals. They should have limited number of posts per page so that they can have less loading time. I am glad to have you with your comment. This is a great tutorial to display and change the number of posts. I usually display 7-8 recent posts so as to cover the whole week on the homepage. Also, this feature to change the number of posts is coming in built in a lot of themes themselves. For me, I use the WordPress dashboard. You are right in many themes number of posts are displayed less and in others more. Like in magazine themes posts are shown according to the categories with pictures. There are many other themes like Newspaper and many more but for bloggers WordPress is the key to decide the number of posts to display on the homepage of their blog. Thanks for you wonderful input. These kind of tips are really helpful especially for those just starting. I wish we had this kind of tutorials when I first started. Now I know how to change the number of posts in my homepage but when I started out, even this little tip was a struggle for me. I followed your advice and I changed it from 10 to 5 posts per page. Thanks Ravi for the helpful tips you offer to those starting in the blogosphere. Have a great day!!! There are man simple things about WordPress which we expect to know in our starting days. When I started my my blog I was not even aware about installing a plugin. But you know learning improves our knowledge. For beginners easy guidance is required. In the beginning of blogging most of bloggers get afraid to touch WordPress because they think that they may broke their website. But it’s always told that you will never learn if you can’t take risks. WordPress has many in-built features which can give your blog a new look. This might be a little difficult in the beginning to choose on the right number of post on your blog page or home page. Depending on how you have it setup. I am still in the beginning myself, but I choose to use three post and have been considering editing to five, and brought out some key point inside of post to using five. Inside of WordPress setting everything up can be a difficult task. thank you for your post, and great information for beginners. In my opinion showing only three posts are less. You need to increase the number up to 5 or 6 depending upon your choice. You know your readers should see some great articles written by you in last few days. WordPress is easy to use if you try to get engaged with it more and more. When I was in my starting phase I was not aware about anything related to WordPress. But you want to learn then nothing is difficult. Nonetheless, This is my first visit to your blog. Your catchy comments forced me to visit your blog. You have a really great and nicely optimized blog here. Coming to the point, WordPress is best known for its easy of use. And things like changing posts per page is not a great deal on WP. You’ve written a really cool and eye-catchy tutorial with screenshots as an additional plus point. This may sound pointless but posts per page really matter. The lesser are the posts on a page the faster will be the blog. Thanks Ravi for sharing such a wonderful post. Yeah! these type of simple things are the engaging part of WordPress but you know beginners don’t know about WordPress and they need to be taught every single thing about WordPress. Many newbies try to learn more about this amazing CMS but don’t get proper guidance. I am here trying to give them a platform of their need. They can learn more about WordPress and showing number of posts per page is an SEO stuff to look upon. Great post. The problem I have is that no matter what number I choose, it’ll always be uneven on no page. For instance, If I choose to display 5 posts, the Genesis theme I’m using gives one main image for the featured(recent) post and then it’ll have 4 below that. But when you get to the second page, it’s uneven. It’s noting major and I guess it can’t be resolved in this theme I’m using, but just wanted to know if you had anything to help solve that or no? Other than that, great information here. I have seen the way your themes arrange your blog posts with one featured image and other blog posts below. You know it can be done like I did with my Thesis theme. You just need to check your theme settings and if you don’t find any such type of settings for the arrangements then CSS is required. My theme was showing all the blog posts with images side by side and the view was not that much good so I changed it to make it plan. I hope you will fix this soon. Newbies in WordPress will learn a lot. 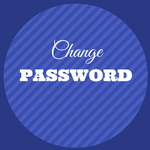 Beginners need to know as how can they change the WordPress admin password because they can’t remember all the passwords. So if they forget then they can follow this guide. Thanks for showing me how to change the number of posts per page on my WordPress Blog! You made it so easy to do! I thought it was some magical thing until now. Thank you for making this so simple to do! Also many thanks for telling us that we shouldn’t check “search engine visibility” option because if we do , it will signal search engines not to index our website. I find that most helpful! Bloggers should know that they can change the number of posts to display at their homepage. Page loading time can be managed. Yeah! many bloggers check that box and their websites don’t get index by Google. I want to suggest you to have your Gravatar so that bloggers will not think that you are spam. Hi Ravi; You’re doing a great job here, helping the newbies to become familiar with WordPress. I learned the hard way – by trial and error. 🙂 I wish more bloggers would get Gravatars and I’m glad you’re getting that message out as well. Knowing more about WordPress is the necessity because it would be better if have more knowledge about this amazing CMS. I am glad that you liked the way I help others. You know, I knew how to do that, but I make the mistake sometimes of forgetting that very new beginners do not. Excellent article, the screenshots really helped, and this is a fantastic tutorial that I will be sharing shortly. Thank you so much for putting this together. I know it’s going to help a lot of people. There are many simple things about WordPress which should be known to every bloggers. Specially, beginners should know that if they forget the WordPress admin password then they can reset it within few minutes. It’s always recommended that bloggers should keep strong password for security purpose. you see, sometimes changing the number of posts to show on a WordPress blog homepage can be challenging. Even though the option is there under reading setting, but most of the time it doesn’t just work. You will have to go through the theme editor to get it done and it requires posts like this to get it done. I had the experience with Genesis themes. Of course its an easy stuff to do but for beginners doing these type of changes using WordPress are little bit challenging. They need to know the simplest method for their problem and I am here trying for the same. Using the above written tutorial newbies can change the number of posts to be shown at the home page. Its just dependent at the theme you are using. Otherwise, most of work is done using WordPress only.